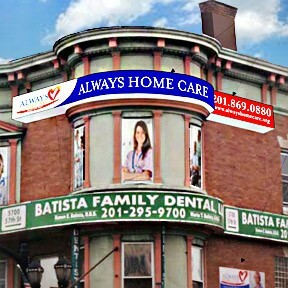 Always Home Care is licensed, bonded, insured and accredited. 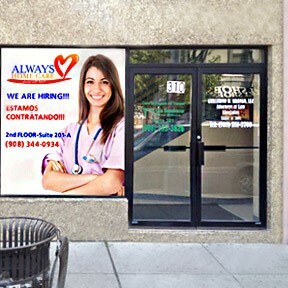 All of our staff are licensed and insured and undergo an intensive interview, health screening, training, background checks and verification of credentials and references. We always hire only the best. 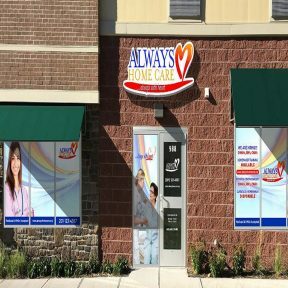 Always Home care is committed to excellence in providing truly exceptional and compassionate care to our patients, as well as our promise to always be there for our patients when they need us, and foster high quality of care at the comfort of our patients’ homes. 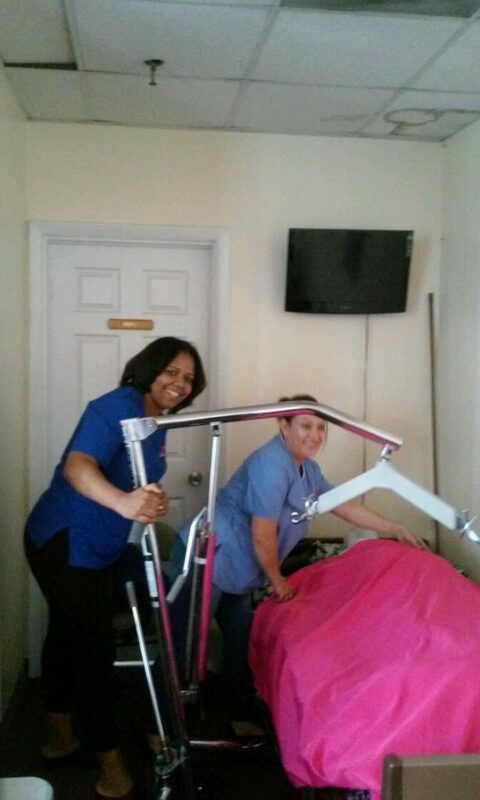 Always Home Care understands that taking care of people and their needs is a big responsibility, therefore we recruit only responsible personnel who prove their dedication to the company and its’ patients through hard work, motivation and commitment. 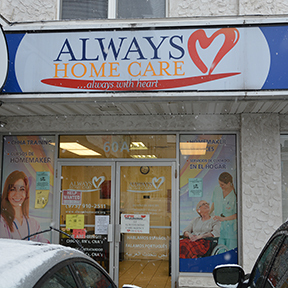 Always Home Care will always strive to achieve best outcomes, utmost patient support and patient satisfaction by providing care based on each patient’s needs using highly trained and certified professionals. We are dedicated to maintaining and improving the health of as many people as possible in the communities that we service, and are committed to promote people’s independence, so that they can live very full and happy lives at the comfort of their homes. All of our staff are advocates for our patients, we all work together as a team to achieve patients’ well-being. We only desire excellence and high quality in services we provide, and we achieve it through collaborative teamwork, ongoing education and training, high number of customer satisfaction, and quality improvement management. Since our company consists of culturally diverse staff, all of them respect patients’ and each other’s inherent values, by understanding the importance of privacy, confidentiality and cultural beliefs. Our Certified Home Health Aide Services are accredited. 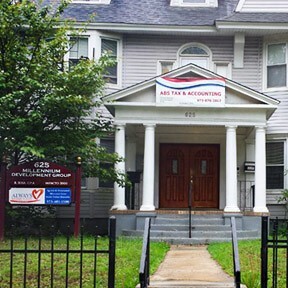 There are many agencies to choose from in New Jersey state alone, but we are a privately-owned agency, who works one-on-one basis with each client or family that calls us or comes through our door. We take our job very seriously, and work hard to achieve excellent results so that our customers are 100% satisfied. We continuously meet all standards, rules and regulations to stay a qualified, licensed, insured, bonded and accredited agency. 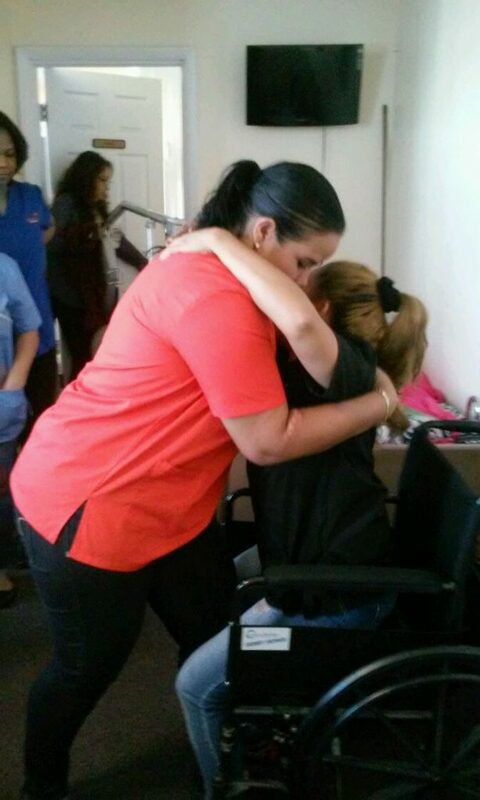 Assisting the client with personal hygiene such as bathing, grooming, dressing. Meal Preparation and feeding client if necessary. 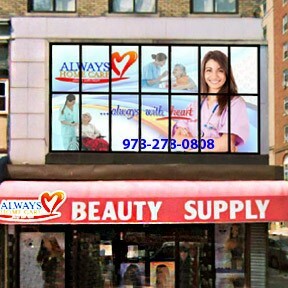 Escorting to doctor’s appointments, senior centers, clinics, pharmacy. Helping client ambulate, transferring, assist in using canes, walkers, wheelchairs. Positioning and Re-positioning client in bed to decrease bed sores. Following nursing care plan prescribed by a registered nurse. Reporting client status to professional nurse in charge. Checking client’s vital signs as prescribed by the nurse. 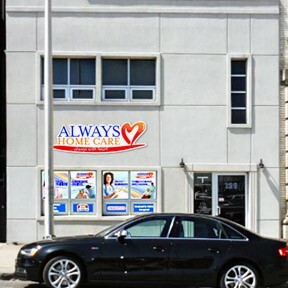 We accept most Private Insurances,HMO’s such as Horizon NJ, Wellcare, Amerigroup, Aetna, United Health Care, Long Term Care, Workers Compensation, Medicaid and Private Pay. For private pay we have great discounted rates, please call our office at 800-288-2592 for more information. 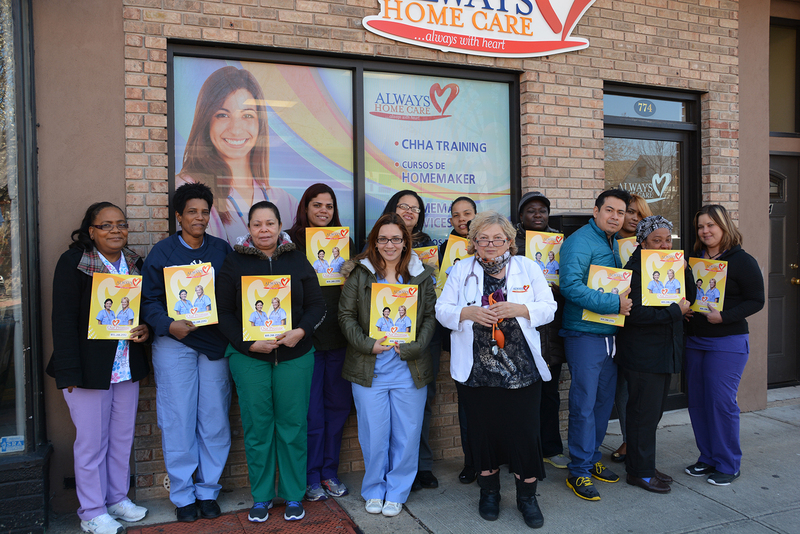 Interested in becoming a Certified Home Health Aide? 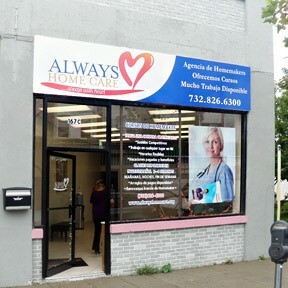 We have New Jersey Home Health Aide Homemaker Training Program! Take our New Jersey State approved 76-Hour CHHA Training Course. 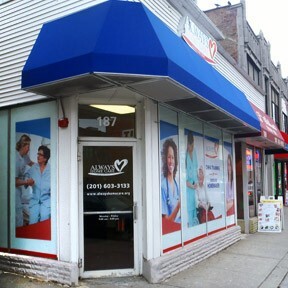 All Always Home Care locations are approved by the New Jersey Board of Nursing, and all of our instructors who teach the course are Registered Professional Nurses approved by the Board. Our courses last 3 weeks, and are offered monthly in the mornings, evening and on weekends. Plus 16 hours of clinical that teaches the students how to take vital signs. Transferring patients using Hoyer Lift and other mechanical devices. 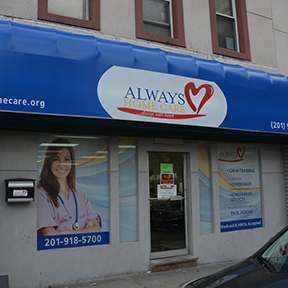 AFTER YOU TAKE THE COURSE AND PASS THE EXAM, ALWAYS HOME CARE WILL SUBMIT YOUR APPLICATION TO NEW JERSEY BOARD OF NURSING FOR PROCESSING. Upon completion of the fingerprinting process, and becoming a Certified Home Health Aide, Always Home Care makes available employment opportunities to qualified candidates. 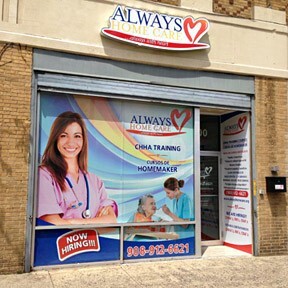 Once hired, additional training is available to all Always Home Care employees at no extra charge. Our Registered Nurses have over 20 years of home care experience with pediatric and geriatric population. "She is gentle, loving, caring and very sociable all the time. I don’t know what I would do without her. She watches over me and fills my day. 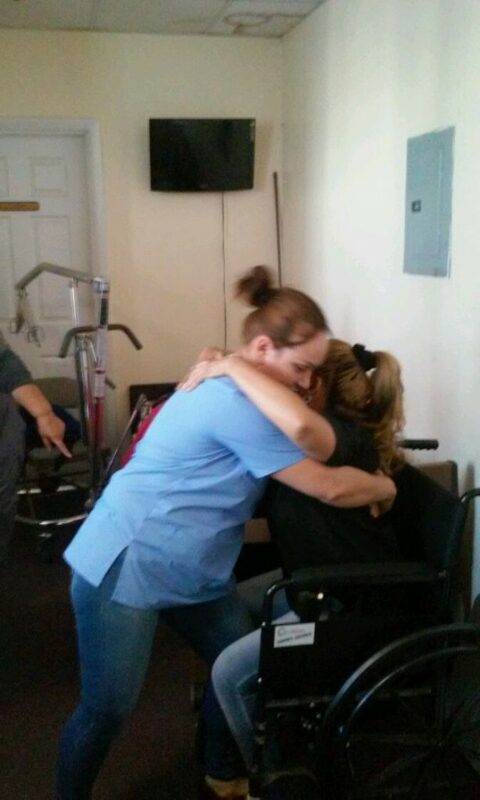 Thank you so very much for having such wonderful health aides that are well trained and truly care about their clients". "Our son Matthew A. C. is catastrophically ill. He needs complete assistance, 24/7. He does not walk, talk, or care for himself. We have to totally rely on the health aides to be reliable and to care for our son appropriately as we need to go to work. This means they are in our home with our son while we are not there. We know that they are giving quality care to our son Matthew as he has never been happier or healthier. We are also confident that our home is safe and secure. We have had some bad experiences in the past with other agencies and felt that making a change was necessary. It was the best decision EVER!" "Thank You Yadira For the most part, my mother in law has been given EXCEPTIONALLY KIND women from your agency.THANK YOU for your support". "You have sent me a “Guardian Angel” named Gloria. She makes me feel like a million dollars every day. She makes my breakfast and lunch and watches over me while I take my mediations along with my diabetic insulin which is very important. She gives me a shower and gets me dressed. She makes sure that all parts of my body are cleansed and medicated if need be". Copyright 2017 Always Home Care - All rights reserved.